What is social media looking like for business owners thus far into 2018? With the way, consumers are now using social media to guide their purchase decisions and to interact with family, friends, and brands. There is always constant change taking place. So being a marketer, entrepreneur, or business owner you have to be willing to adapt to these changes in order to survive. To better understand what these changes actually mean we have pulled together the facts, statistics, and information that has been reported by business owners, marketers, and agencies. 1. What do brands think about social media marketing? 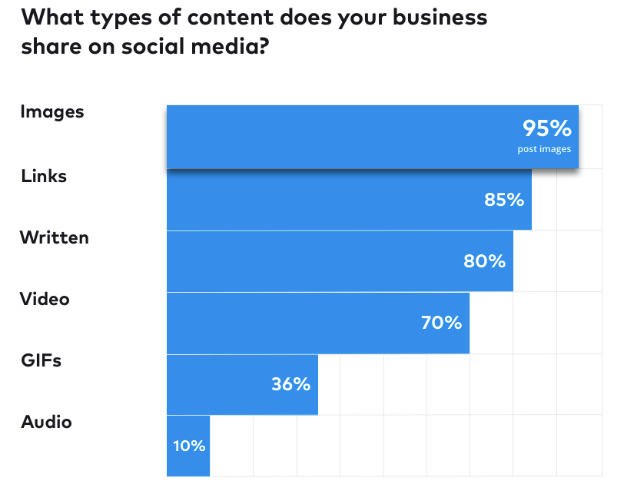 Well, the brands that invest in social media ads are more than twice as likely to say social media marketing is “very effective” for their business. In fact, 74% of businesses think their social media efforts are effective and 18% are unsure. 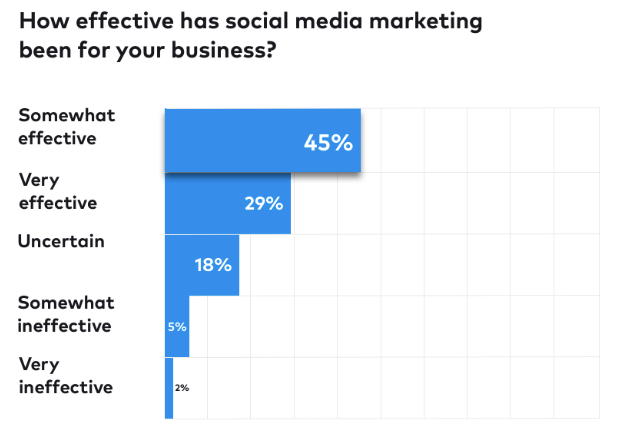 That means only 7% of brands think social media is ineffective and that is probably because they have never tried to use social media to get more business in the first place. Social media has taken over and the ones who decide to ignore it will lose. 2. 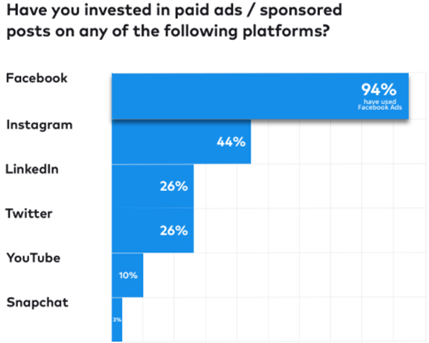 What platform do brands invest in paid ads the most? Facebook is the most popular platform for paid ads, this is primarily because of their massive user base and in-depth targeting capabilities that are offered to advertisers. In fact, 94% of marketers use Facebook ads. So if you have not used Facebook advertising as a means to generate traffic, leads, sales, or engagement for your business it might be worth taking a look at. But what about using Facebook to get results organically? 3. Facebook organic reach is declining. 31% of business and brands have reported a noticeable decline in engagement from their organic Facebook marketing efforts. This leads to you having to do 1 of 2 things if you're looking to stay ahead of your competitors. Either way, if you decide to go with an organic strategy or paid strategy you can still generate a lot of results. 4. Images get a ton of shares. 95% of brands post images on social media. With images being the second most shared type of content you should definitely be posting images to gain awareness about your brand. It's also important to note that if you are going to post make sure you are giving value rather than trying to promote your own product or service. Otherwise, if you only promote yourself then you will not receive a good amount of engagement or shares. 5. Businesses are planning to use stories more often. Social media stories are a way to share a behind the scenes of the business. Typically stories are almost always shot at the moment and are not the typically high-quality content you would find on your feed. Stories are a very easy way to make a quick post with little to no effort and still get you a good amount of engagement. 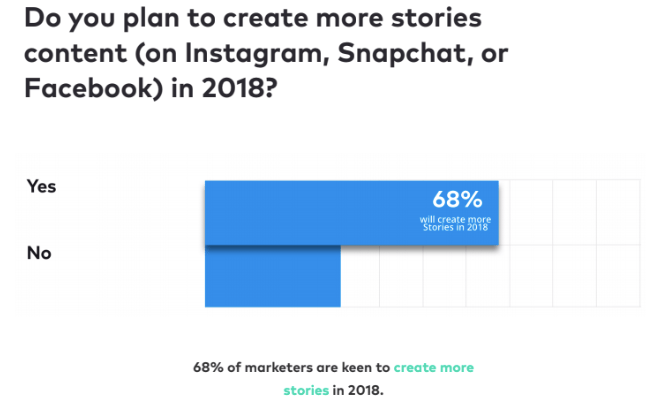 In fact, 68% of businesses are planning to use stories. Whether you choose to focus on one platform or use all the platforms that offer the ability to post a story. It is going to be an effective way to squeeze in some extra traffic to your business. With 2018 being a year of constant social media change, it’s necessary to work with your team, marketer or agency to ensure all your marketing efforts are in line to change for success. The biggest take away here is making sure you are adaptable to new trends and concepts. Also, focus on what works and what needs improvement to effectively bring in those desired results. 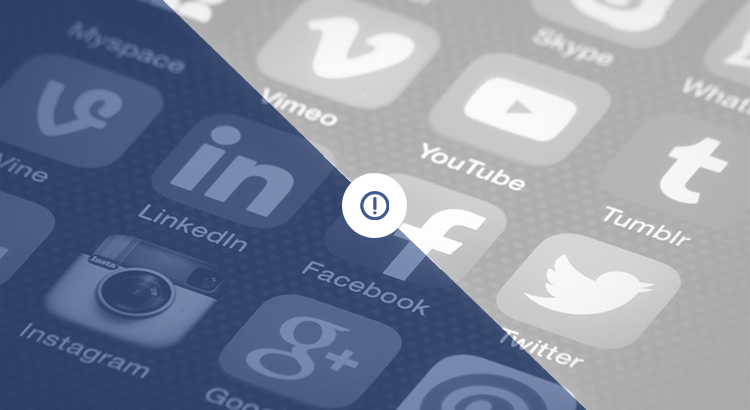 We expect a lot of great things to continue to continue to happen with social media in 2018. What is one new thing you are going to implement or have already implemented this year?